After last week’s shortened playing calender week two of the 2012 Clausura had the full filling of nine games, taking advantage of the holiday weekend in Chile to spread the games over four days. There were seven goals in the two games on the Friday night as Audax Italiano continue to search for defensive solidity while Antofagasta slipped nearer to the automatic relegation places in the Annual Standings. On Saturday there was a surprise scorer for Unión Española as La Furia Roja fell to Cobresal who are a level at the top of the Clausura standings with four other teams, including Colo Colo who took on O’Higgins in our featured game of the weekend. Perhaps the best game was saved until Monday as we caught our first glance of a slightly different Universidad de Chile in a game that produced seven goals against Deportes La Serena. 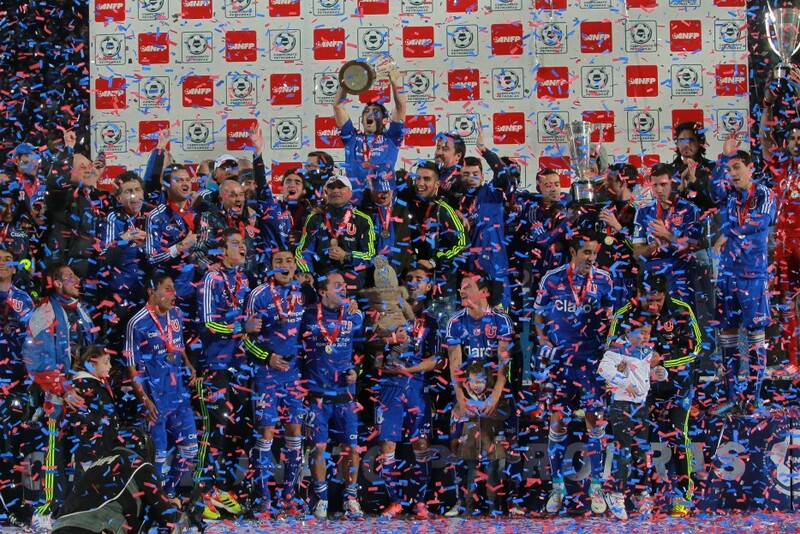 Barely 100 hours had passed after Jhonny Herrea’s third penalty save clinched Universidad de Chile their third successive Campeonato that the Chilean season was back under way as Deportes La Serena and Rangers contested the first game of the 2012 Clausura tournament. With La U and their final conquests O’Higgins given the weekend off it was a shortened week one calendar with only seven games and at one point it looked as if there would be seven draws until Carlos Muñoz scored a controversial late winner to give Colo Colo three points in the penultimate game of the weekend. There was also a win for Palestino at Universidad Católica while Cobresal performed admirably to open with a draw despite playing with eight men at one point. However there was only one winner in the game of the weekend; the clásico de colonias where Unión Española and Audax Italiano shared six goals. After a break of three days the second instalment of the 2012 Chilean league season commences as Deportes La Serena welcome Rangers in the first match of the Clausura this evening. 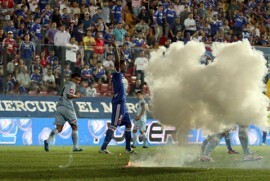 It starts yet another hectic period of Chilean football, especially for those teams involved in the Copa Sudamericana. On Monday evening past, in Santiago, Universidad de Chile rose from their fatigued slumber to become only the third side to win three consecutive Campeonatos and now, clinging onto Jorge Sampaoli, embark on another frantic journey which will see them look to create history by becoming the first side to win four-straight Campeonates while defending their Copa Sudamericana title and looking to win the Copa Chile and Recopa Sudamericana in Japan against 2011 Copa Libertadores champions Santos. However it isn’t all going to be about Universidad de Chile. Well the chasing pack certainly hopes not. O’Higgins should continue to grow under Eduardo Berizzo’s stewardship, Unión Española won’t have to combine continental competition and domestic business and Chile’s two other giants both start the new season with new managers but with the loss of a number of key players and promising young talent. Whilst down at the bottom Cobresal and Unión San Felipe have to play catch up if they are to prevent the likely drop down to Primera B. After the inevitable departure of Mario Lepe on the back of Universidad Católica’s exit from the Copa Libertadores, Cato appointed Uruguayan Martín Lasarte as their new coach in the close season. The 51-year-old spent two seasons at Spanish side Real Sociedad with whom he won promotion to La Liga in his first season. A difficult second season saw him part with the Basque club and Católica is his first management job since. Targeting success with Los Cruzados, he has stated that he is focusing on recruiting experience to aid the likes of Kevin Harbottle and Nicólas Castillo and drive Cato towards challenging Universidad de Chile. 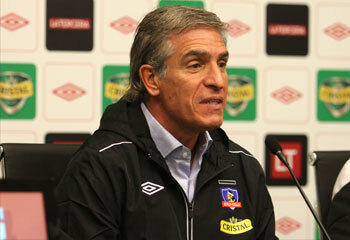 Across town at the Estadio Monumental Colo Colo last week appointed Omar Labruna as their new coach. Interim boss Luis Perez was not considered having presided over four and five nil defeats to La U. At one point in the Apertura Labruna was on the verge of walking out of Audax Italiano due to poor results. It will be interesting to see the system Labruna lays out for Colo Colo. At Los Tanos he set his team out in a 3-4-1-2 formation; a system Los Tanos is comfortable playing in. It’s anticipated that he may move to a defensive four but will have to work around the departures of Esteban Paredes and Bryan Rabello further forward. Labruna’s appointment at Los Albos opened the door for Audax Italiano to appoint Argentine Pablo Marini as their new coach. It will be Marini’s second stint in charge of Italiano having been in charge in 2009. He led the club to both the Apertura and Clausura play-offs and the same feat will be expected of him this time around. Elsewhere Palestino, after a 15th place finish, let go of Uruguayan coach José Daniel Carreño replacing him with Emiliano Astorga who impressively oversaw Unión La Calera’s 7th place finish but left due to conflicts surrounding finances. La Calera brought in Raúl Toro as the replacement to carry on Astorga’s good work. Here is a link to a comprehensive list of all the transfers so far in the Primera Divisón. It is unsurprising that players of the three giants of Chilean football, Universidad de Chile, Colo Colo and Universidad Católica, feature heavily. 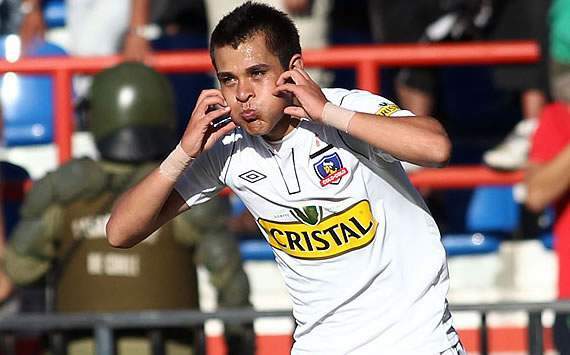 La U say farewell to Junior Fernándes barely six months after signing; the Chilean internationalist having shot onto most club’s radar with his physical stature and goal scoring ability from a wide forward position. He will look to continue his rise at Bayer Leverkusen. Yet the biggest farewell was left for Marcelo Díaz who moves to Basel after a splendid 18 months playing under Jorge Sampaoli; going from a bit-part, versatile player to the midfield metronome. La U has brought in Argentine Ezequiel Videla as a replacement in midfield. New manager Lasarte had little time to get to know Felipe Gutiérrez before he was whisked off to Holland to sign for Steve McLaren’s Twente. The versatile creator should prove a very shrewd signing for Twente, after all it seemed like he was the only Cato player capable of doing anything of note for long periods of the Apertura. He was joined in the Cato departure lounge to Holland by Stefano Magnasco who joins Groningen. 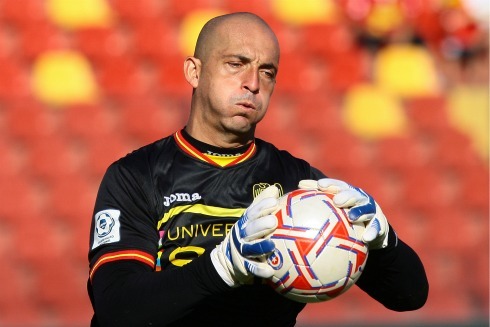 Lasarte has been busy bringing in Fernando Cordero, a good signing from Unión Española, veteran Sixto Peralta from Cluj in Romania and today he has added two further players to his roster with striker Alvaro Ramos joining from Deportes Iquique and Tomas Costa arriving from Colon de Santa Fe for his second spell at the club. Arguably the biggest disappointment of the transfer window so far was Colo Colo losing 18-year-old Bryan Rabello to Sevilla. If you were playing Football Manager Rabello would fall into the ‘hot prospect/sign-straight-away-on-the-cheap’ category. And that is exactly what Sevilla have done. His contract had run down and despite willing to stay at the club he has been at most his life his representatives took him to Europe on a deal worth around £400,000 to Colo Colo – a measly figure for one so talented. At the other end of the age spectrum talismanic striker and Chilean internationalist Esteban Paredes moved to Mexican football with Atlante after contract negotiations broke down. The only incomer so far is midfielder Fernando de la Fuente who impressed at Deportes La Serena in the Apertura. Elsewhere there have been two notable departures but few coming the other way. 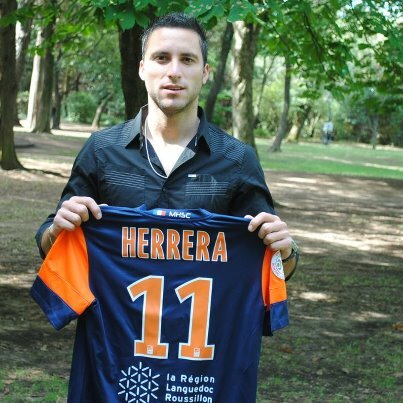 Emmanuel Herrera leaves Unión Española to replace Olivier Giroud at French champions Montpellier while fellow striker Nicolás Canales has joined Azerbaijan side Neftchi Baku from Palestino. Cobreloa have probably been the busiest releasing a number of first team players including Felipe Flores, Cristián Milla and Javier Elizondo. The draw for the Copa Sudamericana was made last Friday with five Chilean teams involved; Universidad de Chile, Cobreloa, O’Higgins, Deportes Iquique and Universidad Católica. Unlike the Copa Libertadores there is no group stage. The teams, excluding those from Argentina and Brail and Universidad de Chile, enter ‘Phase 1’ where they are drawn ‘locally’ in ‘Group South’ and ‘Group North’. The games will be played over two legs and the winners will advance to ‘Phase Two’ where the teams from Argentina and Brazil enter. There is no ‘local split’. *Ecuador’s places have yet to be decided. The 15 winners of ‘Phase Two’ will join Copa Sudamericana holders Universidad de Chile in the last-16.